We see a lot of romantic films, many of which are comedies, but the landmark romantic movies tend to be grounded. Brokeback Mountain, The Notebook, Call Me By Your Name, and of course, Titanic, all made big impressions on audiences. They showcase love as a force of nature rather than cute happenstance, juxtaposing the euphoric feelings of love against the often tragic nature of reality. Overall, however, Hollywood has moved away from the classic and more realistic representations of romance. That’s a missed opportunity; love and loss are always intertwined and make for potent stories. Enter Adrift, set for release on June 1, which looks like a harrowing true story of love and loss. The film is based on the memoirs of Tami Oldham, who was involved in a shipwreck in 1983 along with her fiancé Richard Sharp. The book, Red Sky at Mourning: A True Story of Love, Loss, and Survival at Sea, chronicles a story of young love that ends in tragedy. Oldham’s story is extremely compelling, and it deserves to be told to a wider audience. 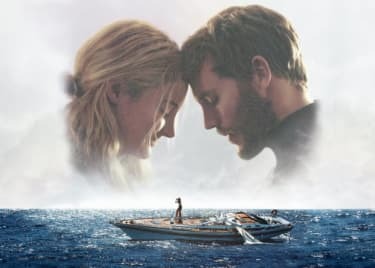 Adrift stars Shailene Woodley as Tami Oldham and Sam Claflin as Richard Sharp. 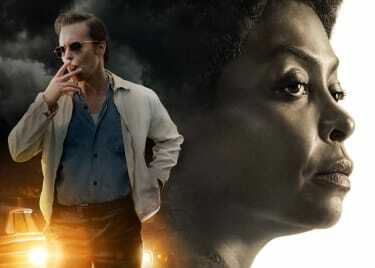 The film tweaks a few details for dramatic effect, but is still a fair representation of the real-life events. In Oldham’s memoir, she tells the story of how the two fell in love and bonded over Sharp’s love of sailing. In 1983, the couple agreed to take a job sailing the Hazana, a 44-foot yacht, 4,000 miles from Tahiti to San Diego. Three weeks into their journey, the couple realized they were sailing headlong into Hurricane Raymond. They tried to avoid the storm, but were quickly besieged by 40-foot waves and winds up to 140 knots. Sharp and Oldham struggled to keep the Hazana afloat, but the boat capsized during the chaos. Oldham was below deck when the boat rolled, and struck her head on one of the cabin walls. Oldham regained consciousness after 27 hours. When she finally came to, she found Sharp’s safety tether hanging of the side of the boat. She ran over to check the line, but it became clear that sharp had been thrown overboard. The boat was steadily filling with water and the radio and navigation system were out. In the face of tremendous peril and grief, Oldham was determined to survive. She managed to make a makeshift raft using pieces of the damaged boat, and set sail for Hawaii. Using only a sextant and a watch, she navigated the ocean for 41 days surviving on mostly peanut butter and canned foods. After traveling 1,500 miles, she finally arrived in Hilo, Hawaii. What Makes Adrift Such A Compelling Love Story? Oldham’s incredible story showcases the triumph of the human spirit, but it might seem like a story of survival rather than of love. Technically that’s true, but her story reaches farther back than the shipwreck. Even after Sharp was lost at sea, Oldham touches on her grief after arriving in Hawaii. She mentioned how she was almost crushed by the weight of her loss and didn’t think she could go on. That feeling of lost love, almost like a piece of you is missing, is something virtually everyone can relate to. Loss is a part of love. The emotion is so strong that in its absence, the contrast between having and not having love can be unbearable. Sadness, pain and loss are an inevitable part of the human experience and intrinsically tied to love. We don’t always get to live happily ever after. That isn’t cynical; it highlights love’s rarity and importance. Adrift looks to prove the power of love through an interesting narrative. Unlike Oldham’s memoir, the film seems to show that Sharp survived the storm. This seems like a huge divergence from the true story, but this is most likely a hallucination. If that’s the case, he would serve as a source of inspiration for Oldham to sail to safety, like a visual representation of love enduring all. It also provides a more interesting on-screen dynamic for audiences. The story may be told a bit differently from the real events, but that doesn’t change its impact. 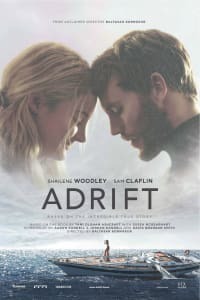 Hopefully, Adrift will hit home with audiences and introduce the world to Tami Oldham and Richard Sharp’s tremendous story of love and loss.